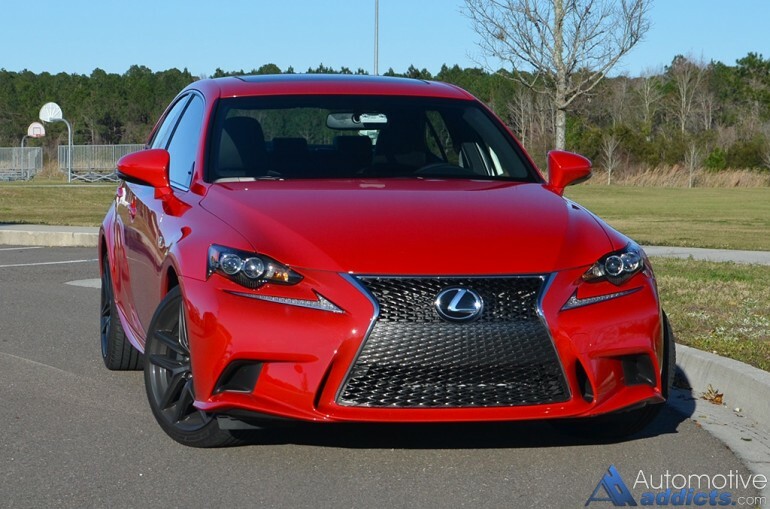 The Lexus IS has been a long-standing staple for the Lexus brand when it comes to a compliant compact luxury sports sedan. 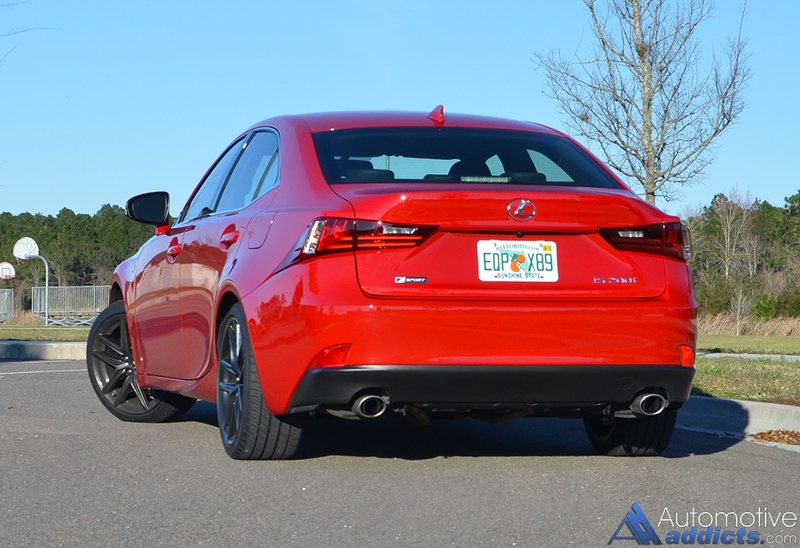 In its latest iteration, the Lexus IS gets a redesign for the 2014 model year. 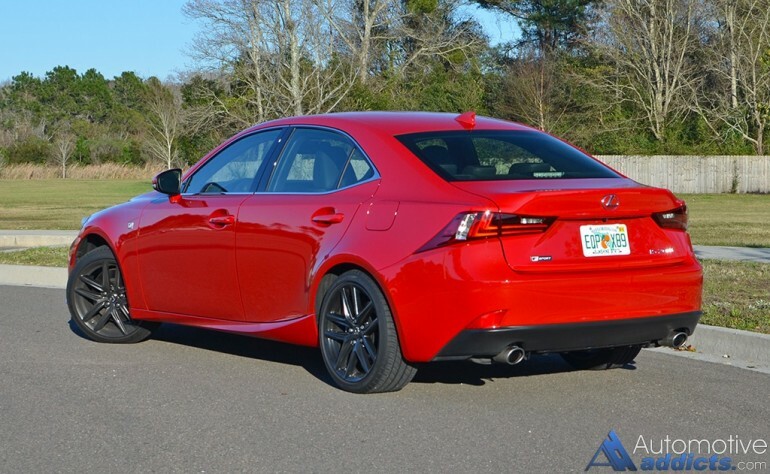 For 2016, Lexus adds two new powertrains replacing the 2.5-liter V6 engine for a new 3.5-liter V6 with 255 horsepower and a new turbocharged inline 4-cylinder engine as found in my recent F-Sport trimmed test vehicle. The IS 350’s 3.5-liter V6 with 306 horsepower remains. 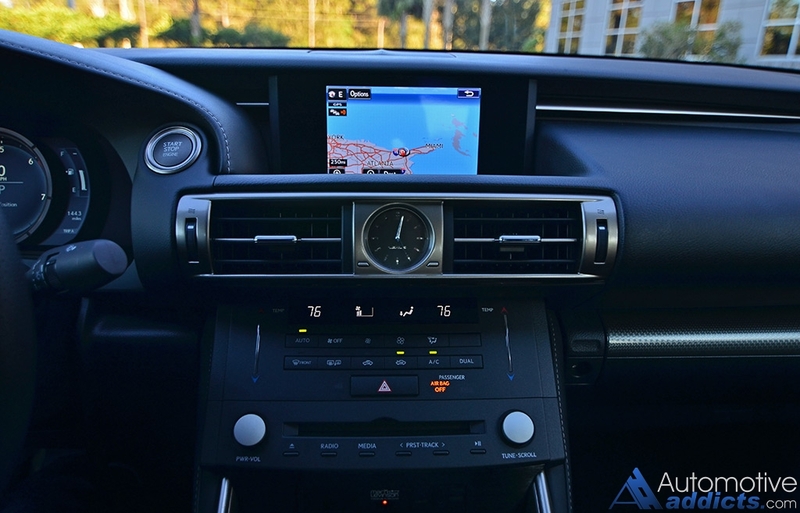 Driving the new 2016 Lexus IS 200t captivates much of that expected sporty character of what I have adorned in the IS for many years. The well-balanced chassis and remarkable handling dynamics put it in a place that seems to do much more talking than its new turbocharged engine. The new forced induction engine, a dual-scroll turbocharged 2.0-liter 4-cylinder, pumps out a modest 241 horsepower and 258 lb-ft of torque to the rear wheels. Power is directed through an 8-speed automatic transmission, that does its best to keep the turbo engine in its power band but only when you purposely demand it. 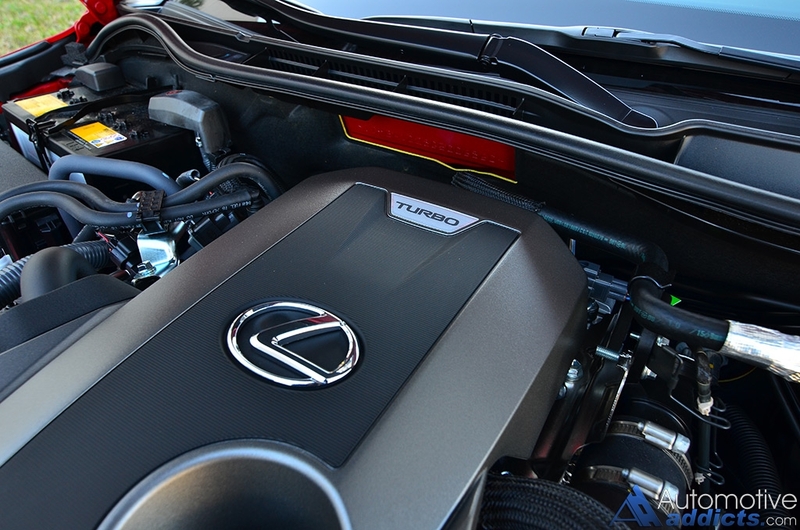 With that said, the Lexus IS 200t exhibits a bit of hesitation, or what us enthusiasts decipher as turbo lag. Out of the hole from a dead stop, the IS 200t takes a while to get things moving to your desired throttle input. 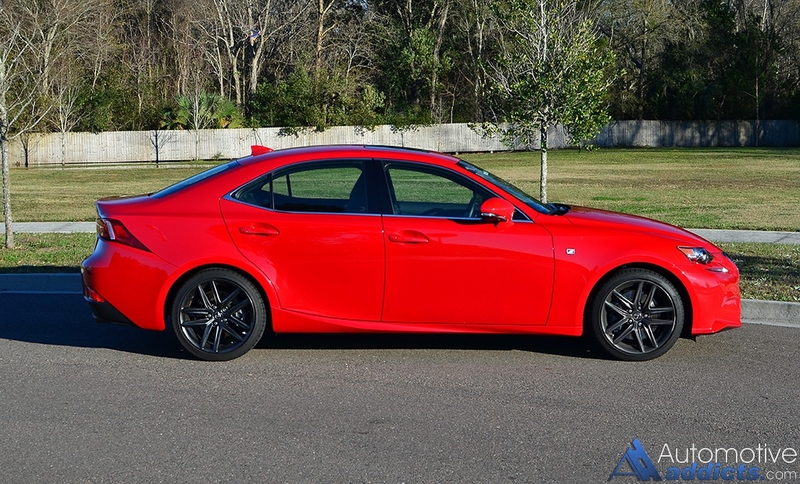 This is one of my rare and few discernments of the Lexus IS 200t. 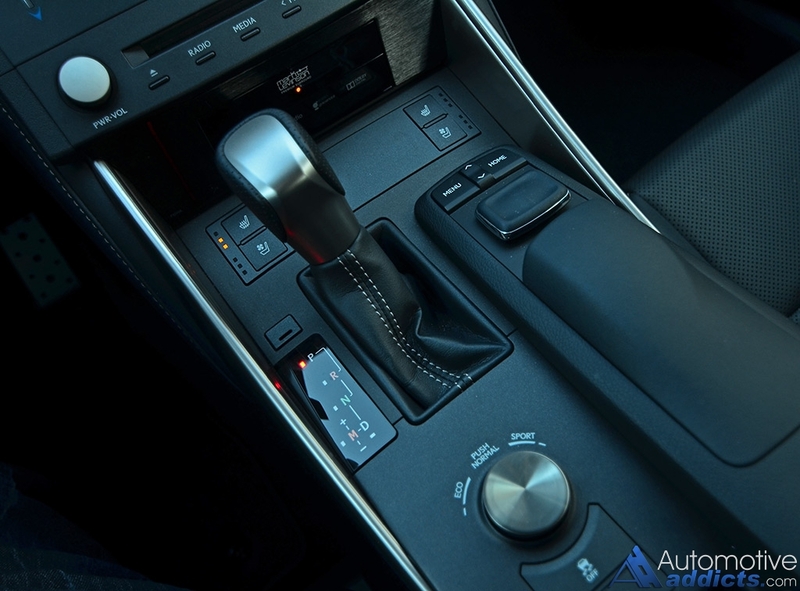 Additionally, that lag feeling is somewhat exacerbated by the 8-speed automatic transmissions slight hesitation to downshift when full throttle is demanded while cruising in a higher gear. I felt at times the Lexus IS 200t was inadequately suited to get out of the way of intersection-crossing traffic at a two-way stop. Fortunately, for me, preparation and knowing the lagging power delivery at low RPMs is essential to navigating the Lexus IS200t around town. Once you get into the engaging portion of the power band, anything above 2,000 rpm, the IS 200t performs nicely. Sixty mph comes in around 6.9 seconds through use of the Sport drive mode and manual shift mode for the 8-speed automatic transmission letting the computer take over to shift near redline. The Lexus IS 200t, much like all other trim levels (300 and 350), exhibit a remarkably balanced feeling, one that could easily handle another 100 to 200 horsepower without diminishing is assured handling and ride qualities. The small size and tight-knit feeling of the Lexus IS 200t is an ideal part of why light-hearted enthusiasts indulge in such a vehicle. I wouldn’t call the Lexus IS a BMW 3 series killer, though, it deserves to be placed on a level playing field with such because it has the proper chops to compete. I hate to say it as a BMW purist, but the new Lexus IS is doing a better job with road-going dynamics than BMW’s 3 Series in some aspects. At the economical end, the Lexus IS 200t gets 22 mpg city and 33 mpg highway, which were easily attainable numbers during my week-long test. 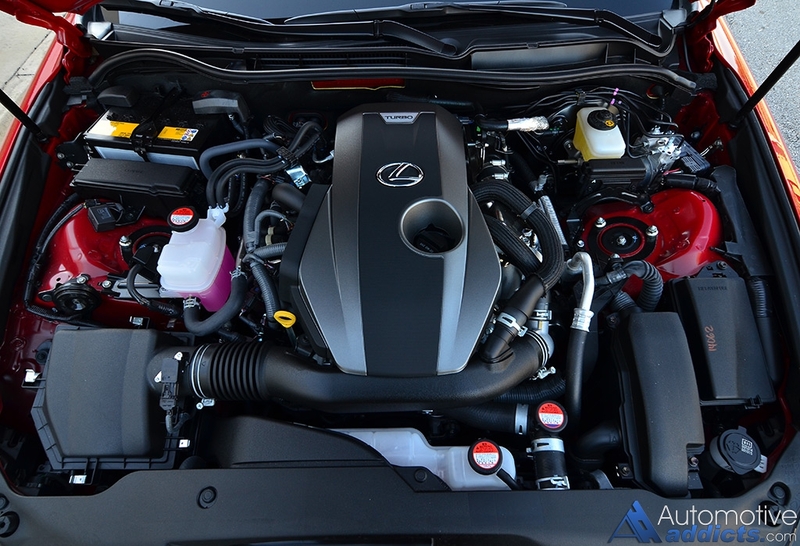 At times, I saw numbers slightly better than the EPA estimates, possibly due to the Lexus IS 200t’s innovative dual variable valve timing with intelligence. Such a system varies both intake and exhaust valve timing giving you optimal power yet the best fuel economy through each cycle, either Otto or Atkinson (variation of valve opening times during the compression cycle of the cylinder piston). If it all sounds confusing, it is. Just know, it’s working at all times to get the best bang out of each sip of the recommended premium fuel. While the IS 200t is more on the level of the BMW 320i in performance, its edgy and bold styling stands out in a crowd. Adding the F-Sport package to the formula, the IS 200t is quite the rolling statement that isn’t so outlandish that those in the contemporary realm can’t enjoy its exterior opulence. 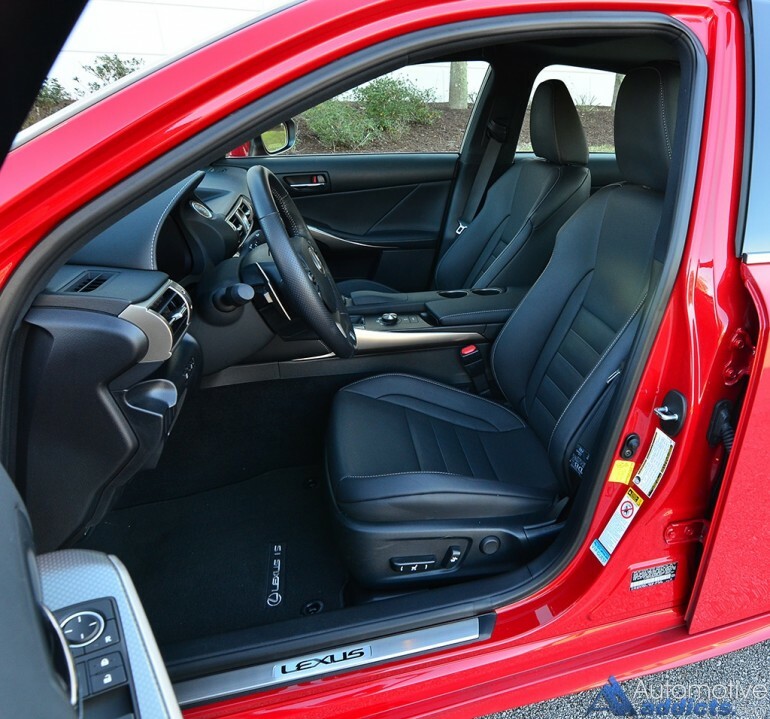 As expected, the 2016 Lexus IS 200t’s interior, identical to all other trim levels with the F-Sport package, features excellent fit and finish exuding long-lasting quality. 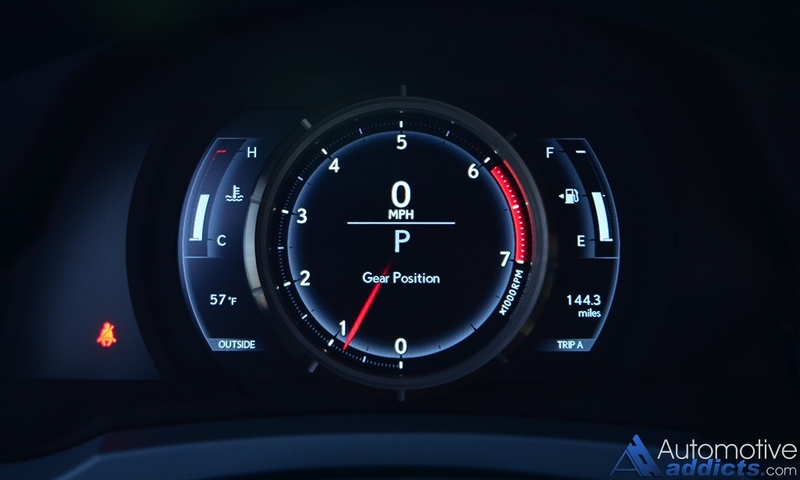 The color and interactive LCD gauge cluster, unique to the F-Sport package, takes a page from the Lexus LFA supercar. The sliding center dial encasing the dedicated RPM gauge display ties into the sporty theme of the IS F-Sport, just as a similar setup does with its not-so-distant 467-horsepower RC-F sibling. 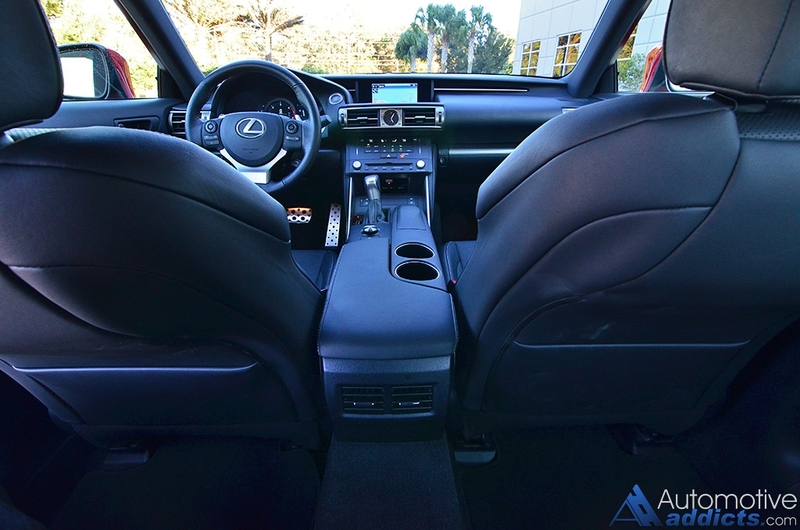 With the right mix of a soft touch dashboard, door trim, and ultra-supportive perforated leather seats with heating and ventilation up front, the Lexus IS 200t F-Sport has quite the inviting cockpit. 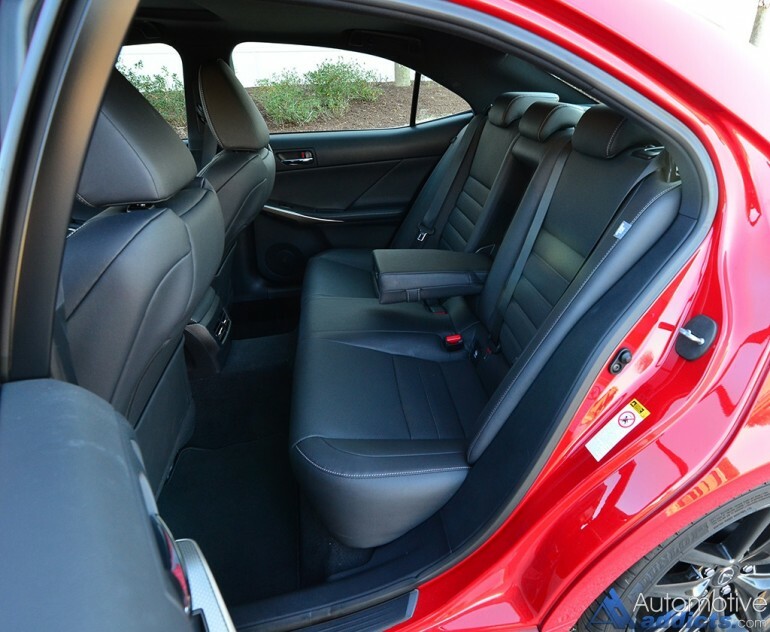 While the seating dimensions are nothing close to the full-size vernacular, the Lexus IS 200t makes use of every inch of available space with just enough room for my 6-foot 3-inch frame. 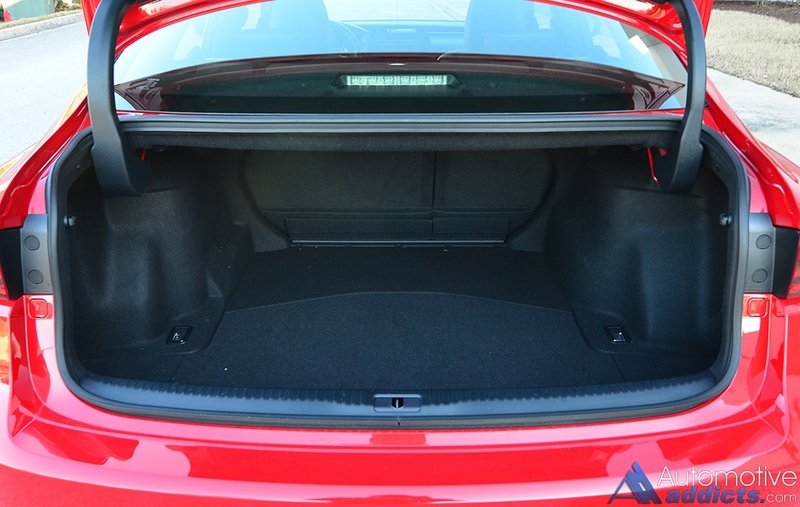 Out back, the rear seats are on the small side but still usable for someone just at 6-feet tall on short hauls. Lexus continues to serve up the luxury goods across the line. 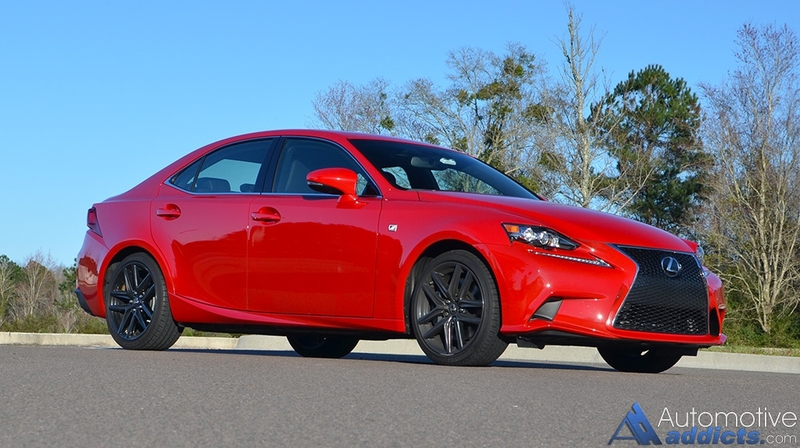 The 2016 Lexus IS is no exception. While the IS 200t is at the base level for the IS lineup, it still has the availability of a few amenities desired in a luxury vehicle, such as perforated leather seating surfaces, a beefy leather wrapped steering wheel, heating and ventilated front seats, automatic LED headlights with LED high-beams. LED taillights, blind spot monitors, power tilt-sliding sunroof, dual exhaust pipes, staggered 18-inch alloy wheels, a wonderful-sounding 15-speaker Mark Levinson sound system with Bluetooth audio streaming and USB connectivity, sport-tuned suspension system, and the acquired taste Lexus remote touch infotainment system interface with a GPS navigation system. At the starting level of the IS line, the 200t is priced at $37,325. 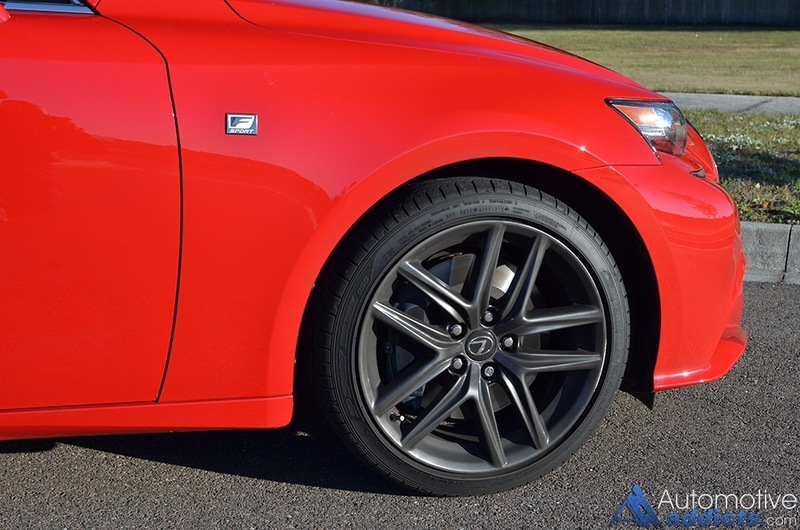 My nicely equipped 2016 Lexus 200t F-Sport test vehicle came to an as-tested price of $45,195, which includes all of the before mentioned equipment and a delivery, processing and handling fee of $940. EPA cargo volume: 13.8 cu.ft.